During our recent stay in Japan we managed to get a couple of cheap flight / accomodation packages so we could spend a few days in Seoul. 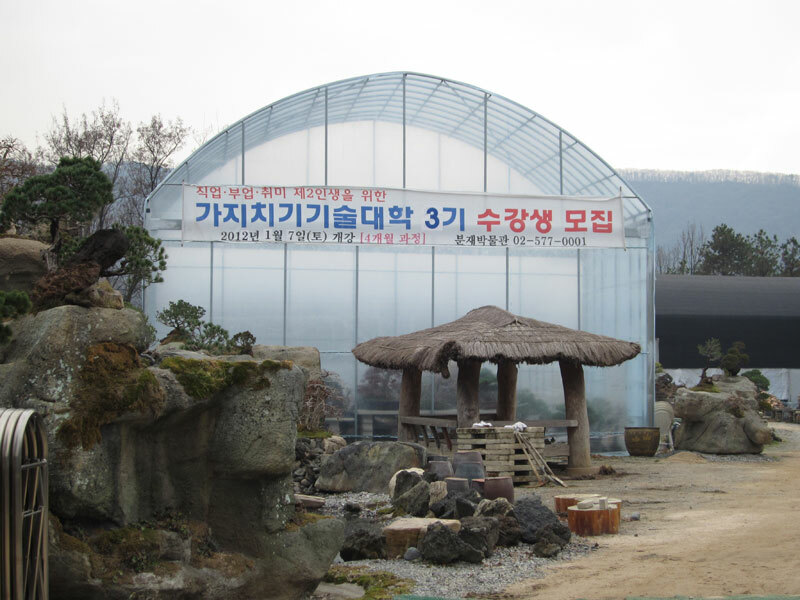 The purpose of the trip was for my wife to stock up on Korean cosmetics (Korea is a shopping mecca for the Japanese) but I managed to squeeze in a quick visit to one of the local nurseries, The Korean Bunjae Museum. 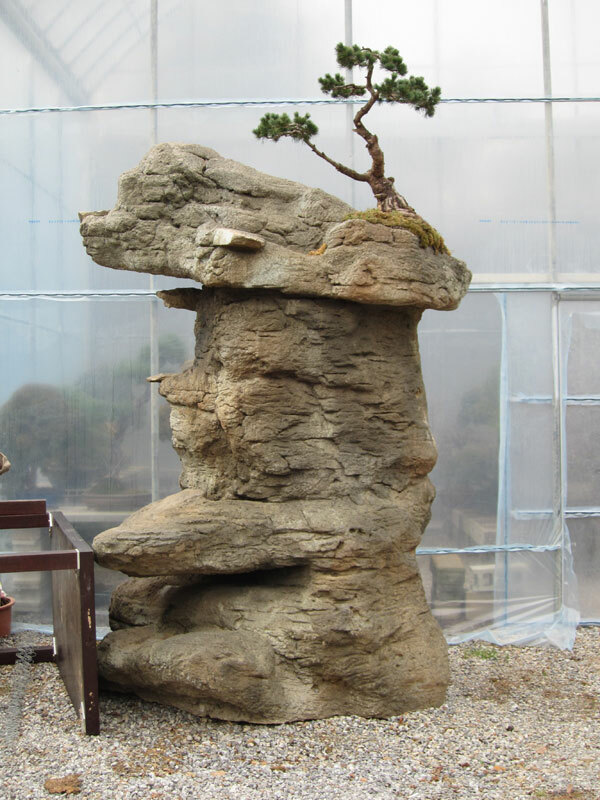 This visit was my first experience with korean bonsai so I wasnt sure what to expect. What I will be covering in this post is what initially grabbed my attention. We visited in the middle of winter. Most of the lakes in the surrounding parks had frozen and the top daytime temperatures were not even making it above freezing. When we first entered the nursery I wasn’t sure we were at the right place. I could hardly see any bonsai! We soon learnt that the whole collection was sheltering in huge greenhouses for the winter but that’s a whole other post. 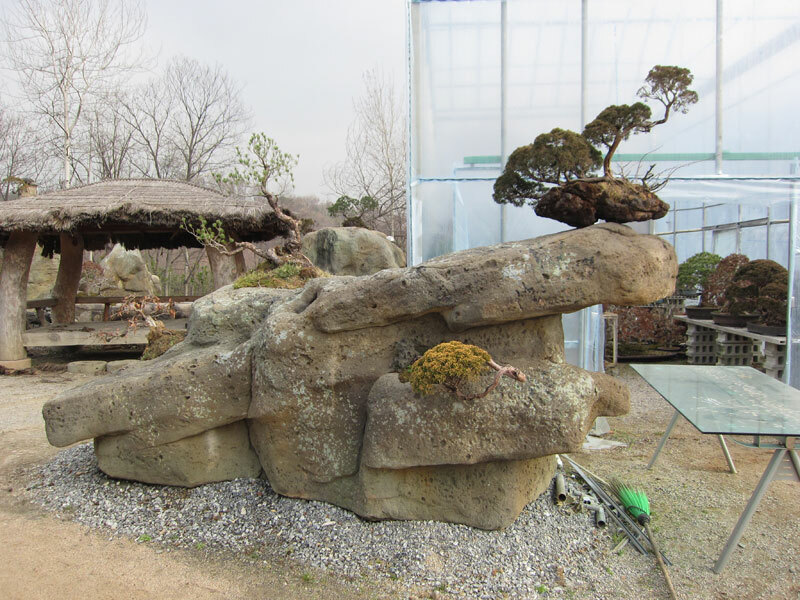 What caught my eye was some huge rocks with trees planted upon them that were assumingly too big to be moved inside for the winter. One of the massive rocks. After spending some time with the owners daughter she explained that the rocks were actually all man-made by a close friend of her fathers. Now I don’t know about you but I think these are some of the best fake rocks I have ever seen! Even up close I couldn’t tell they were not natural. 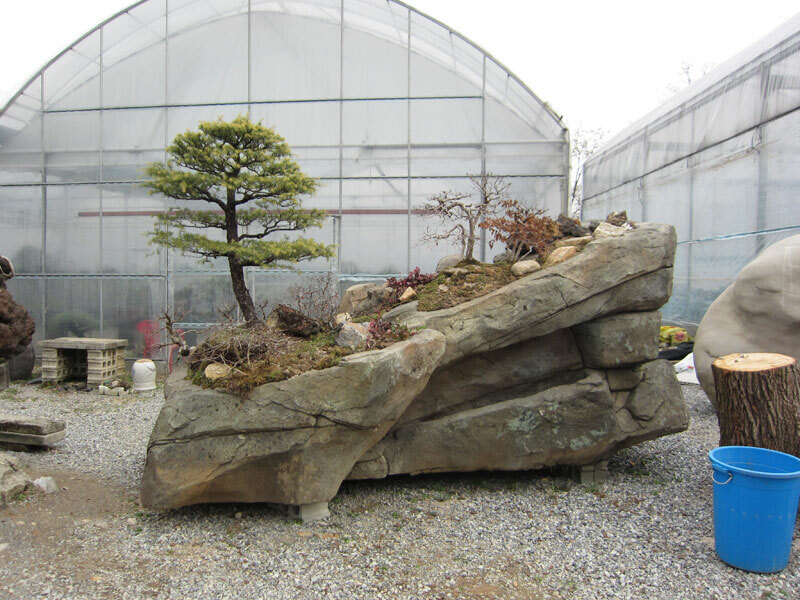 An upright rock with a small pine perched a top. This last rock was my favorite. 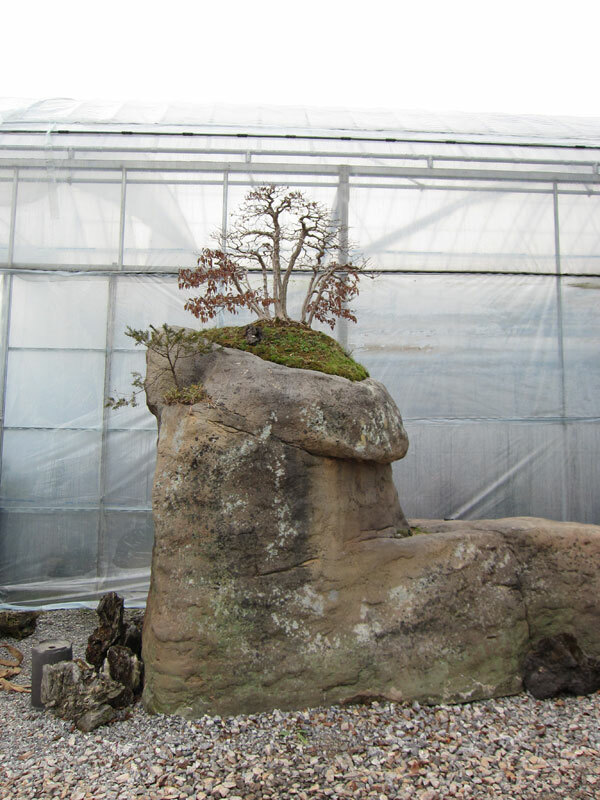 It was large rock that had a great little hornbeam forest on top of it. It made me wonder just how difficult it must be to trim it and keep it looking so good. A small forest on top of one of the rocks. A close up of the forest. 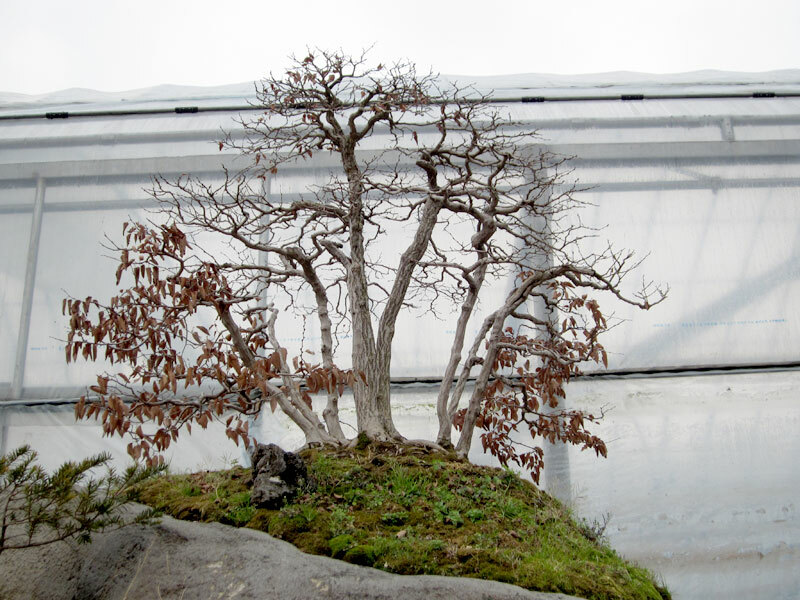 I will have a few more posts from this nursery as it was full of interesting trees and was run quite differently to the Japanese nurseries I was familiar with so stay tuned.